Thank you for your interest in volunteering at the Mission. 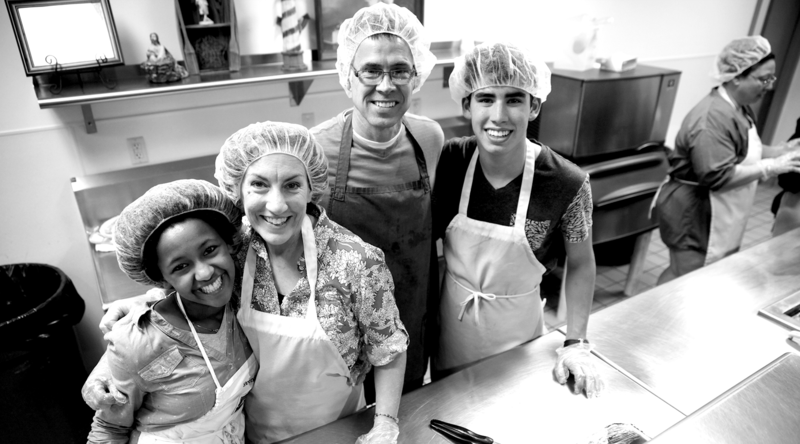 At Rockford Rescue Mission, we feel we have the best volunteers in the world. Whether it is serving a meal, tutoring in our Works! Center, serving coffee at the cafe, or mentoring a recovering man or woman, you can make a difference. Hundreds of people selflessly serve each year, and we couldn’t do what we do without our volunteers. If you have questions about volunteering, email our Volunteer Coordinator at volunteer@rockfordrescuemission.org or call (815) 965-5332, ext. 151. Fill out our volunteer application for an individual or group here. The life that gets changed might just be yours.